The idea of having big, spacious, well-ventilated rooms and an attractive bathroom is always a high priority for any house owner. Unfortunately, not all of us are lucky enough to own big spaces with lots of room for storage. Not to worry though, a vanity unit- something which combines a sink and a cupboard- can give you all the storage space you want. Bathroom vanity in Alexandria is a ‘must have’ and the best option to solve the paucity of storage space. You can count on our experts to fit your bathroom with just the right kind of storage unit- one that can keep those cleaning aids, facial products, towels and linens in an orderly and tidy manner. Installing vanity units is a practical way of using wasted sink space optimally- by building shelves and drawers into the unit below the sink, you’ll have room to house all the stuff that you don’t want in sight. Vanity units come in a variety of widths and designs so it’s very easy to find one that will complement your bedroom. Wall hung vanity units can be used in very small bathrooms- not only will this give you more floor space but if paired with a huge mirror can actually make your bathroom look bigger. You obviously don’t want to display to all and sundry the products that you use daily- by using organizers and trays in the drawer of the unit, you can hide all of those small items that tend to overflow on your dressing table. A bathroom vanity in Alexandria is clearly the way to keep clutter out of sight, ensuring that the sink area remains free and clean to use at any point of time. More than being a storage space, vanity units can add a splash of color to an otherwise dull bathroom. You needn’t buy anything fancy- your antique dresser can be altered to suit your needs or can be custom built (if you know how) out of old wood that’s pining in the garage. Remember, you can always pick up vanity units to suit any décor and any space- be it plain, colored or glossy. You’ll be surprised at how a simple vanity unit that’s well designed can add value and versatility to your home. Just as you change your furniture, you can always modify the unit to suit your ever evolving and changing needs. A coat of paint, a change of knobs and handles, a change of fronts will alter the look of your bathroom dramatically. Having been involved in hundreds of such installations, we have realized how important and popular vanity units are. 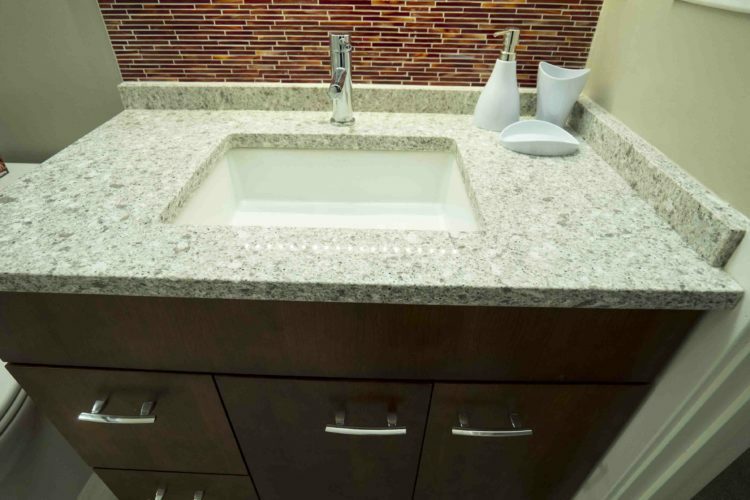 Adding a bathroom vanity in Alexandria is a routine job for us and we look at it as a sure, practical and beneficial addition to your bathroom. Our reputation for excellent professional installation and exceptional customer service always precedes us wherever we go. 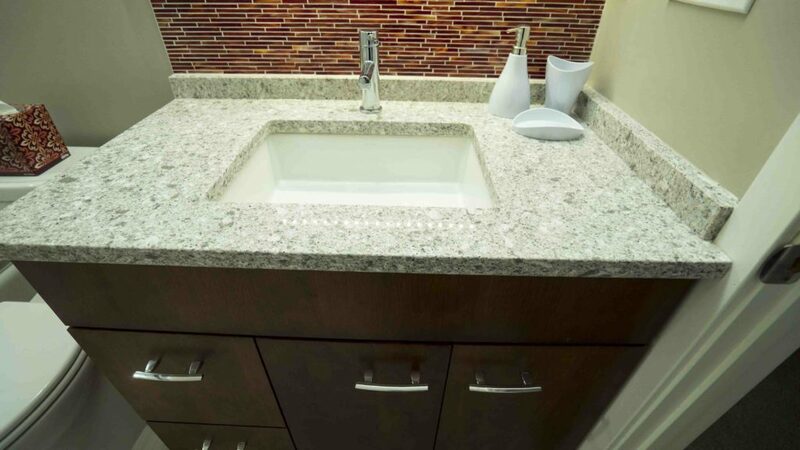 If you want to install a bathroom vanity in Alexandria, you can count on us to deliver. Quality is our middle name and perfection is our first.